My viewers seemed to enjoy my review of the Samuel Adams mix pack a month or two ago, so I decided to try to make reviews of mix packs a more regular occurrence on Chad'z Beer Reviews. This time I'm reviewing four beers by the Mendocino Brewing Company. They originated in California, but opened a satellite brewery in my backyard of Saratoga Springs, NY. I have reviewed two of their beers previously when I traveled to Philadelphia to shoot a few reviews with Johnny and Dave from "Two Guys On Beer" (links to those reviews below). If you'd like to see reviews of mix packs more regularly let me know. Appearance: dark orange/copper - almost brownish. Very hazy. Fairly small, off-white foamy head. Good retention and lacing, though. Smell: orange juice or orange sherbet, but not citrusy per se. Very malty-smelling for an IPA, seems to even have notes of coffee. Taste: Much like the nose, the palate here is surprisingly malty for a beer of this style - reminiscent of the breadiness you get in a double bock. White Hawk IPA has a mild, but dry, taste with a strange mixture of coffee and black tea leaves. There’s a slight sweetness in the second half, like an orange creamsicle. Unfortunately, it’s short-lived as a dry hop texture dominates the aftertaste. Mendocino uses a "propriety yeast strain" which might account for the palate here. This drinks more like a pale ale than an IPA as it seems more sweet and syrup than bitter and crisp as I tend to associate with the style. A unique palate for the most part, but not a very pleasurable one. Mouthfeel: Quite thick, but soft and gentle. This is not a crisp beer by any means. Feels like a doppelbock or a barleywine in the mouth. Drinkability: Definitely not quaffable, but far from a sipper. It doesn’t seem nearly as big as its 7% ABV would indicate (I’d place it closer to the low 5’s, actually). A decent food pairing, but not a beer to session. Overall, a pretty standard IPA considering the brewery and the style. Poured a 12oz bottle into a nonic pint glass. Appearance: straight copper/dark amber color. Fairly hazy. Even with a vigorous pour I don’t get much head. It barely retains and leaves no lacing. Smell: Lollipop caramel and butterscotch with sour astringency. Extremely faint aroma and what’s there isn’t that good. Taste: I get caramel, butterscotch, coffee, and dark chocolate tastes. Now, you would think that would make for a tasty beer, right? Unfortunately not. Mostly it tastes like all those flavors - but sour, old and flat. There’s a dry, biscuity malt backbone I suppose, but it does nothing to carry these flavors. Just a few sips into it and I’m seriously disliking this beer. What’s also interesting is that even though the palate is borderline foul, it’s also quite mild. This could be a great beer if there was more emphasis on one or two flavors rather than an entire palate. Mouthfeel: cold and flat. Slightly sour and dry aftertaste. Grows annoying as it warms. Drinkability: technically, you probably could slug this, but with this palate you wouldn’t want to. 6% ABV seems a little high. Overall, an unimpressive beer and a challenge to drink. I poured a 12oz bottle into a snifter. Appearance: Dark copper/orange color with a hazy complexion. Produces a tiny, yellow, soapy head which evaporates almost completely and leaves no lacing on the glass. Smell: Not very aromatic, but the scents are lollipop-like caramel and butterscotch with a slight astringency. Alcohol and a spiced rum smell are also noticeable, but the nose overall is quite mild. Taste: This beer is basically their "Red Tail Ale" with a little more chutzpah. The palate has the same basic flavors of caramel and butterscotch, only a little more rich and sticky. The sweetness is more pronounced across the tongue and is actually delectable. Unlike the other beer, there’s no funky sour aftertaste, although I still detect a bit of an astringent character. Alcohol is surprisingly noticeable for an 8% ABV brew. There’s a dry, rubbing alcohol flavor that distracts from the palate. What’s even more ironic is there’s also a watery feeling to the palate as this beer actually finishes quite clean. Mouthfeel: medium-bodied and flat. Some dry bitterness in the aftertaste with a chocolate flavor. Unfortunately, its stay is extremely brief. Drinkability: The first few swigs seem rather intense, but my palate gets used to it quickly. It’s not a refreshing beer, nor is it a sipper. The 8% ABV seems out of place here. Overall, this might be best described as a "barleywine lite" - take that as you will. Eye of the Hawk really should be a quality beer, but mostly it’s just boring and bland, but inoffensive. 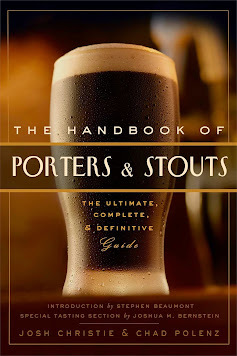 There are certain beers and certain breweries that have a reputation for being "gateway" or "beginner-class" in that they are milder, easy-drinking brews which makes them more appealing to newbies. Mendocino Brewing Company is such a brewery and their Black Hawk Stout is such a beer - in theory. While I’m not the world’s foremost beer expert or connoisseur by any means, I still know what tastes and flavors are appealing to the pedestrian beer drinker, and Black Hawk Stout doesn’t contain much of those flavors or drinkability. I poured a 12oz bottle into an Irish pint glass. Appearancce: Opaque dark brown body initially forms a huge, sponge-like, tan head. It never completely evaporates and leaves on minor lacing on the glass. Smell: Not much to smell here aside from a generic, but mild, American stout aroma. A touch of milk chocolate notes, but all very subtle. Taste: This is basically the American version of Guinness, but without the flavor*. Not much to taste here aside from a bland, mild, watery palate. If I really concentrate I do get some roasted malt in the first half and cheap candy-like milk chocolate in the second half. Otherwise, Black Hawk Stout is overtly watery with a slightly dry bitterness in the aftertaste. There’s nothing offensive about the palate per se other than its lack of genuine good taste. Mouthfeel: Light to medium-bodied, decent carbonation. It feels like carbonated chocolate water. Drinkability: I’ve said it a million times - mild beers are technically easy to drink because they just slide across the tongue and down the throat because there’s no resistance by your taste buds. But if there’s nothing to appreciate you’re not very likely to drink it fast or in copious amounts. The 5.2% ABV seems about right, maybe even a little high. Overall, Black Hawk Stout is much more boring than anything else. It’s an easy beer to tolerate, but a difficult one to enjoy. I wouldn’t even recommend this as a starter stout. *this is a sarcastic quip because anyone that knows Guinness knows it’s not a robust beer at all.